Children’s Librarian, Oshawa Public Libraries, began Feb. 2008 Works with children of all ages, but particularly enjoys ages 8-12 Secret dream of becoming a children’s entertainer Tiffany Pahman Teen Librarian, Oshawa Public Libraries, began February 2008 Worked in both Public and Academic libraries since 1999 MLIS with a concentration in Youth Services Currently a member of the White Pine Selection Committee Obsessed with Pop Culture including, but not limited to: Perez Hilton, MTV, Degrassi, 90210, Gossip Magazines, and reality television Photos are from programming at the library We were very fortunate to have both start our jobs at the same time, we get along very well – even though we have very opposite tastes, our differing perspectives help to create really well-rounded programs. When we started, our manager asked us to try tween programs and see how it went. 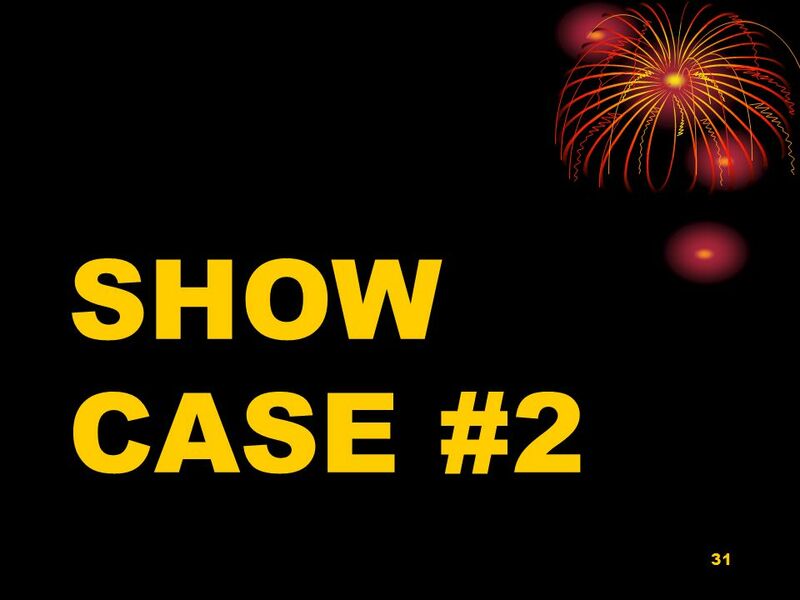 Ideas for our two pilot programs came from an EI Audio Conference lead by Beth Maddigan, first was a big success – so we decided to run on a monthly basis. 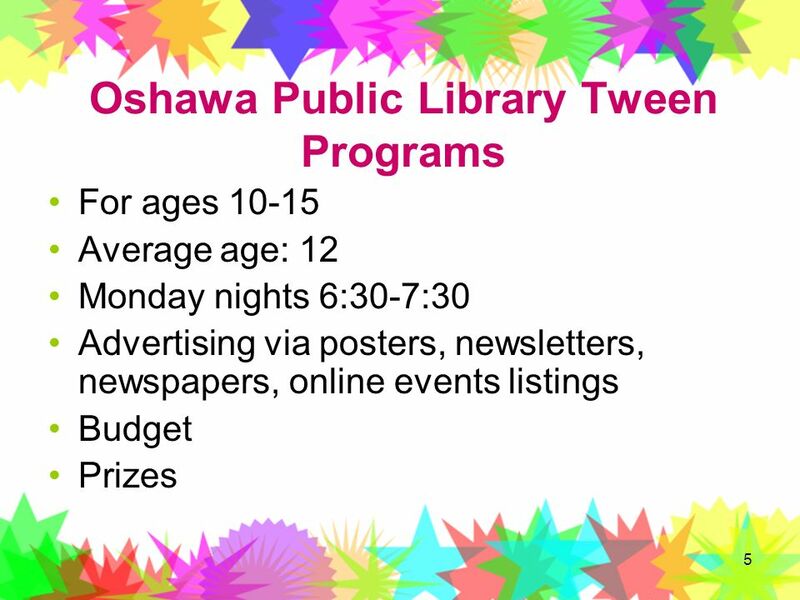 For ages 10-15 Average age: 12 Monday nights 6:30-7:30 Advertising via posters, newsletters, newspapers, online events listings Budget Prizes At Oshawa Public Library, we are fortunate to have a decent programming budget but any programs we display today can be done on a shoe string budget, with a little creativity. You can always re-use resources. When we do the Iron Chef program, once we buy sprinkles we’ll have sprinkles for another program and so on. Your library also can always take advantage of any donations that they receive. At the end of the program, we usually give away books as prizes that were donations in the first place, or freebies from the publishers. 40 participants 2009: 12 programs 165 participants Average attendance 2009: 14 participants 2008 was our pilot year, with only two programs and 40 participants. In 2009, we had one program a month and participation grew. Our average attendance in 2009 was 14 participants. We developed a core following of 5 kids who come to every single program and then there are others that come here and there. We also captured the attention of group homes, so they also sign up for programs when they can as this age group caters to their home. Practice what you know It’s nice if you can relate it to reading. . But you don’t have to! 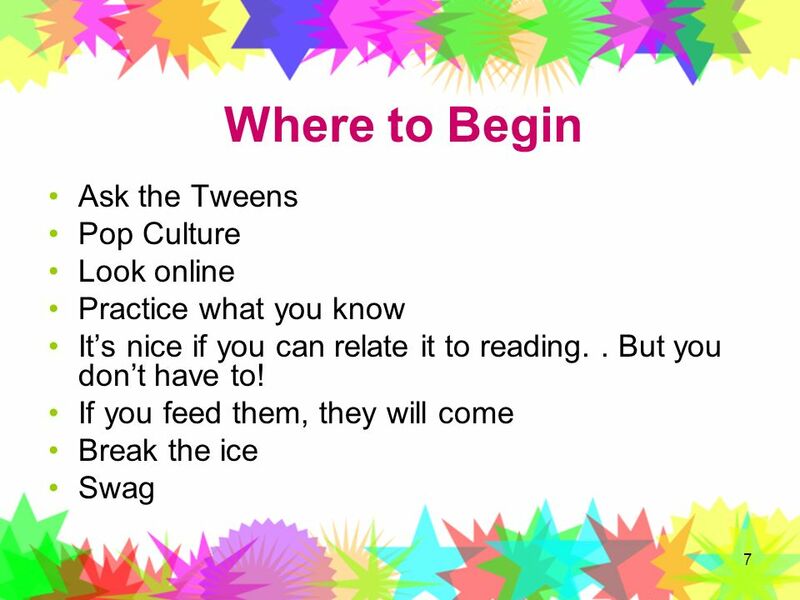 If you feed them, they will come Break the ice Swag We often ask the tweens what kind of program they’d like to see. This is how we created Relic Hunter and many more. Many of our programs are based off of popular TV Shows. 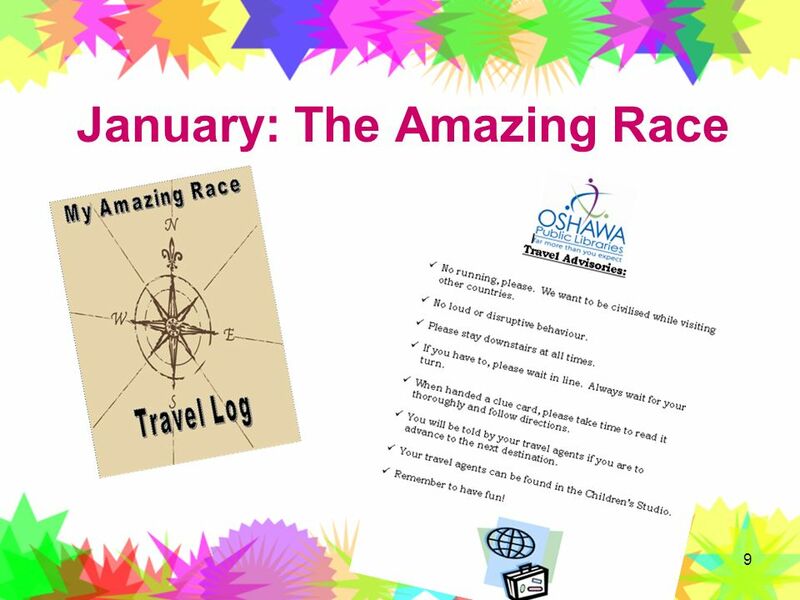 Some programs were really successful, we want to focus on – but all these program information with attendance, number of spaces, outline, budget information Virtually you can look at any library and see what they’re doing and what’s popular. Always rely on tried and true – it’s always good to try new things, but make sure you know what you’re doing! They’ll call you out on it if you don’t (origami example – Around the World Fiesta) If you find you have extra time at the end, you can always munch on snacks and discuss the program and brainstorm for upcoming programs. TIFFANY – I ADDED BREAK THE ICE AND SWAG – MAYBE YOU COULD TALK ABOUT THE VARIOUS ICE BREAKERS WE HAVE DONE, WITH WOULD YOU RATHER BEING THE MOST POPULAR. ALSO - WE GIVE ARCS AWAY AS PRIZES, BUT THE KIDS DON’T REALLY EXPECT MUCH. THEY ARE PLEASED AS PUNCH WITH CANDY ETC. 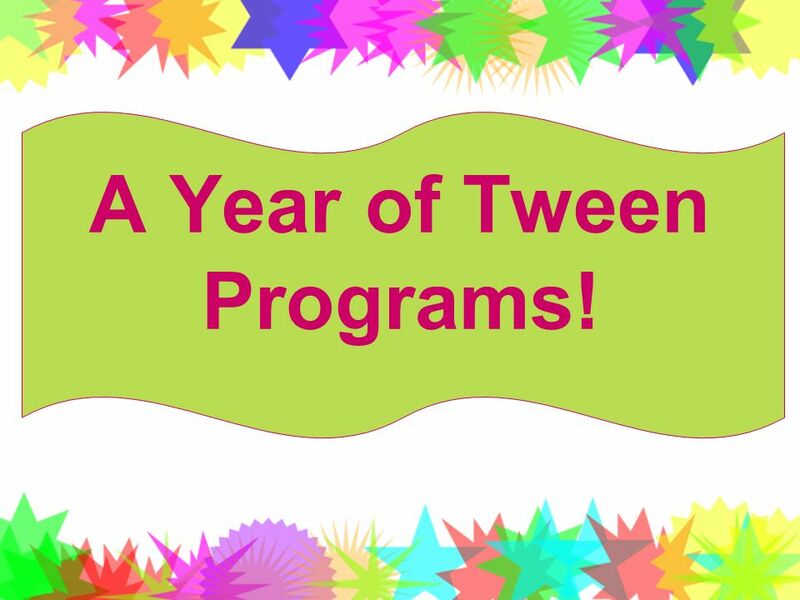 8 A Year of Tween Programs! This program is based off the popular television series. Tweens participated in an ice-breaker, then broke up into teams. They were then sent on a series of scavenger-hunt type activities that would be similar to the television program. We had them go around the world and pit-stop in Australia where we served snacks and watched a travel video. This is a great way to get tweens to use different parts of the collection, especially the encyclopaedia. What should we do for those of us who hate the lovey-dove aspect of Valentines Day? 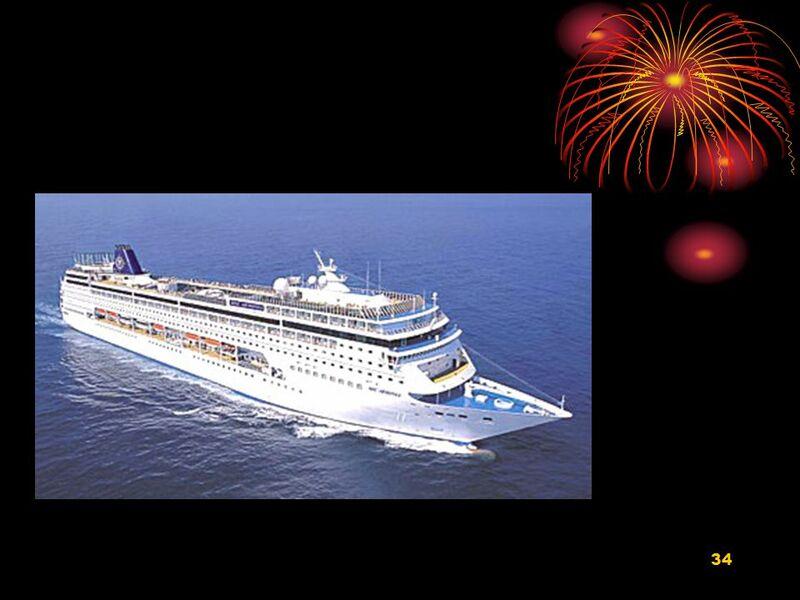 Un-celebrate it, of course! 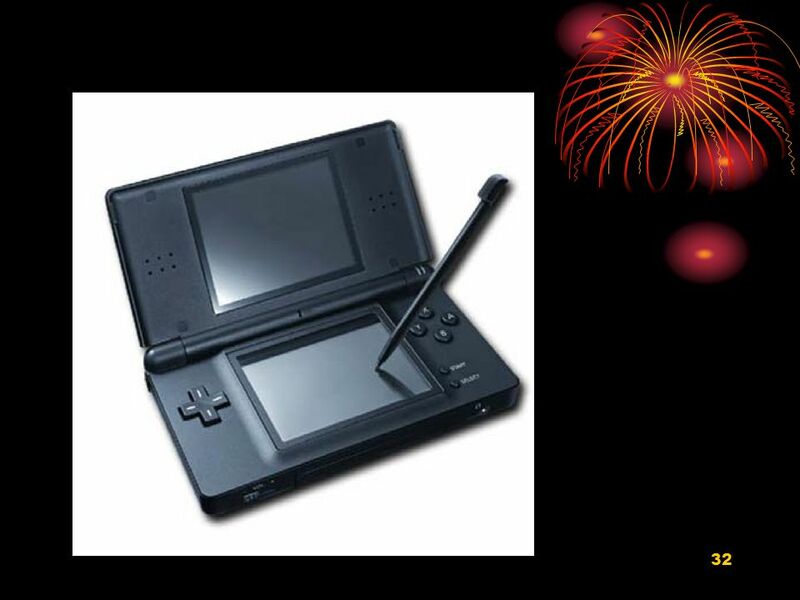 Tweens love the *dark* aspect of this idea, and there is room to be as creative as possible. Also, let them help you plan the party. Be prepared for more teens than you normally get at programs, at least that seems to be the experience of those libraries who try this. 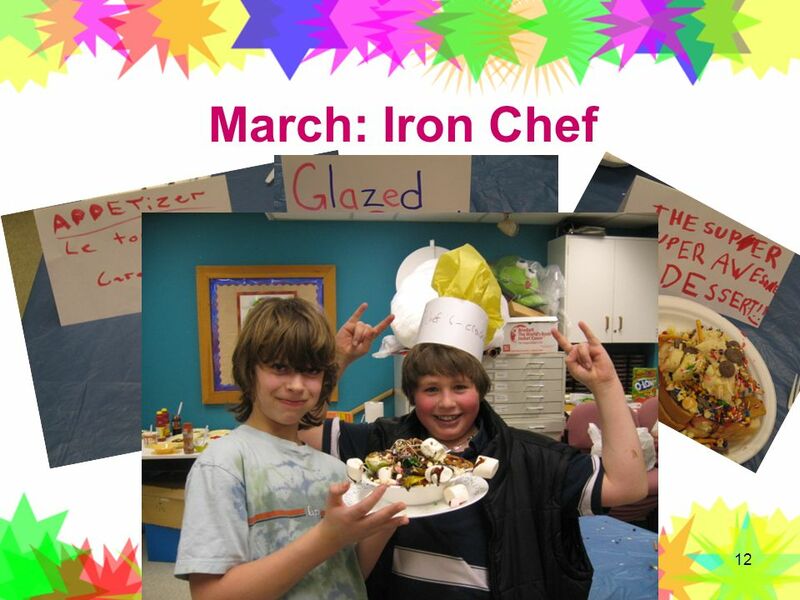 12 March: Iron Chef Based on the popular television series, this program started with tweens crafting a chef hat, and coming up with team names. Each team created and named culinary delights in three categories: appetizer, main course, and dessert. The tweens judged each others dishes and voted for their favourites! This program is not for those with a weak stomach! But to see the excitement on the kids faces is priceless! It is also one of our most expensive programs, but as Tiffany mentioned, once you have supplies you can reuse them. Also remember that the dollar store carries a great selection of food! Boys are especially attracted to this program – it’s a huge hit! 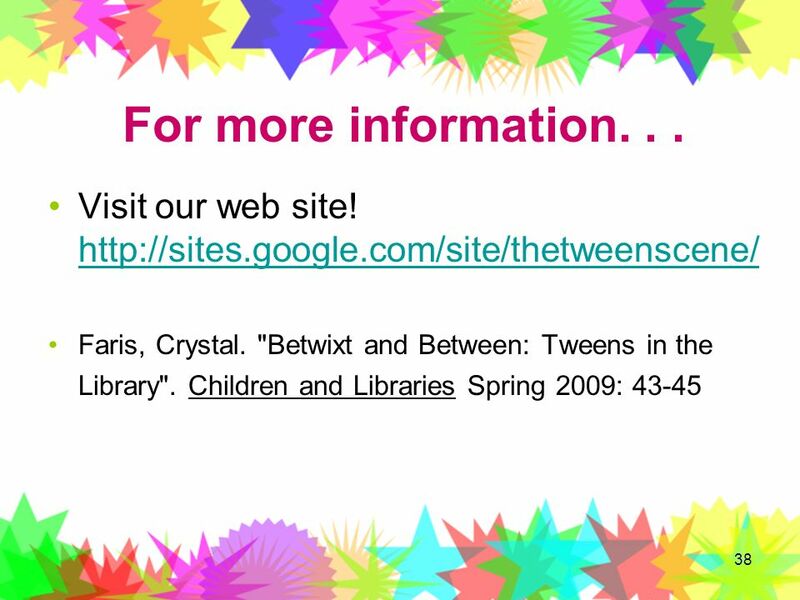 End the program by showing tweens the cookery section of the library! 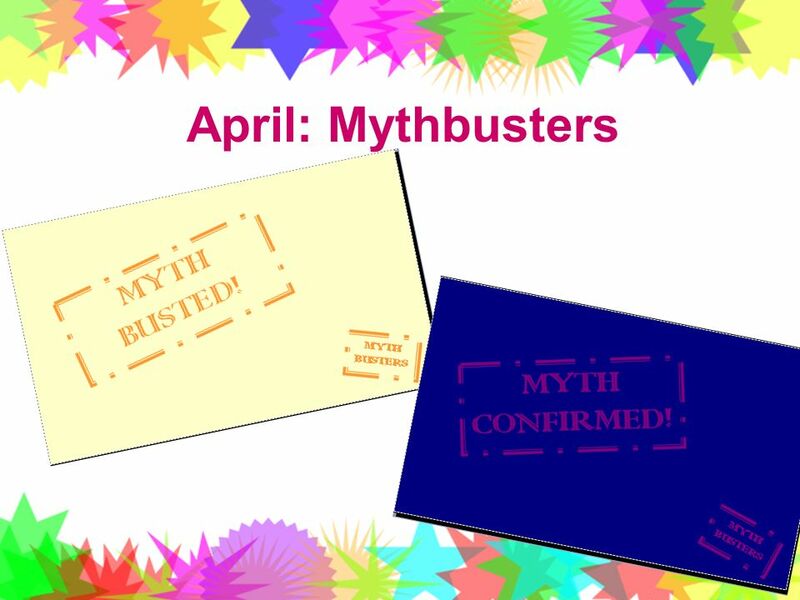 13 April: Mythbusters Based on the popular television show, this program challenges tweens to use their scientific skills to determine whether or not a variety of proposed statements are truths or myths. For example – eggs can bounce – myth confirmed or busted?!!! 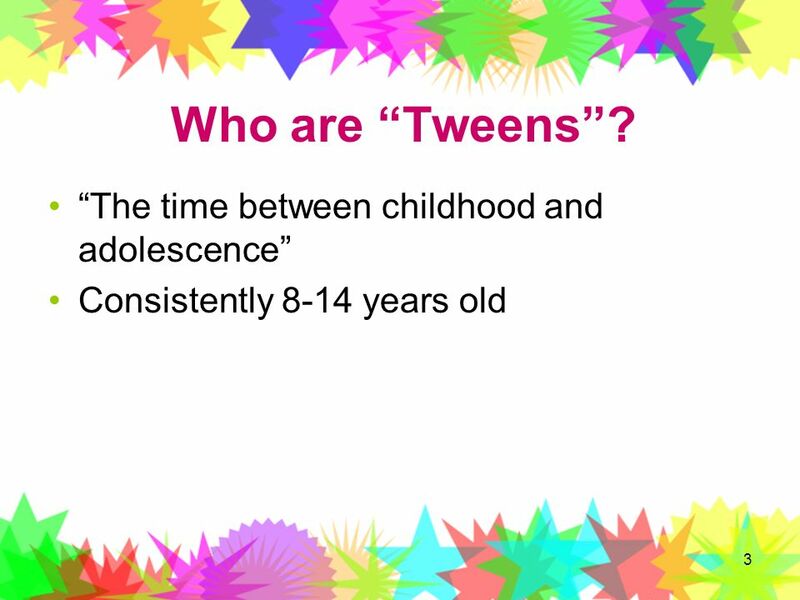 Tweens then have the opportunity to test their hypothesis with fun activities and experiments. And to answer your question –yes eggs can bounce!!! Pull science experiment books to put on display for this program. 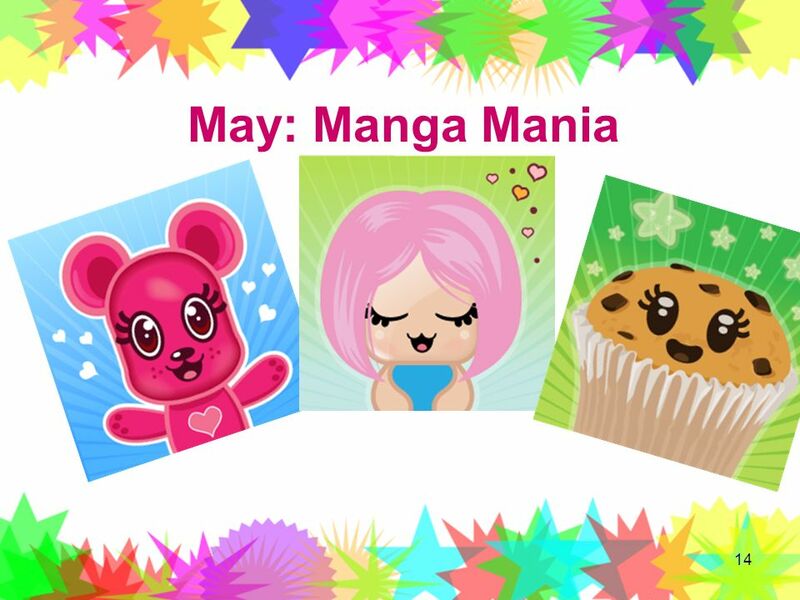 14 May: Manga Mania In honour of Free Comic Book Day (May 2) we decided to have some Manga fun! Teens received free comic books, which were donated by the local comic shop, learned about different kinds of Manga via a powerpoint presentation, competed in a trivia competition, watched Naruto and made sushi candy! Something Tiffany discovered – the best way to run a trivia contest is to use dry erase boards. Let each team write their answer down on a little dry erase board – one per team – and have each team reveal at the same time. 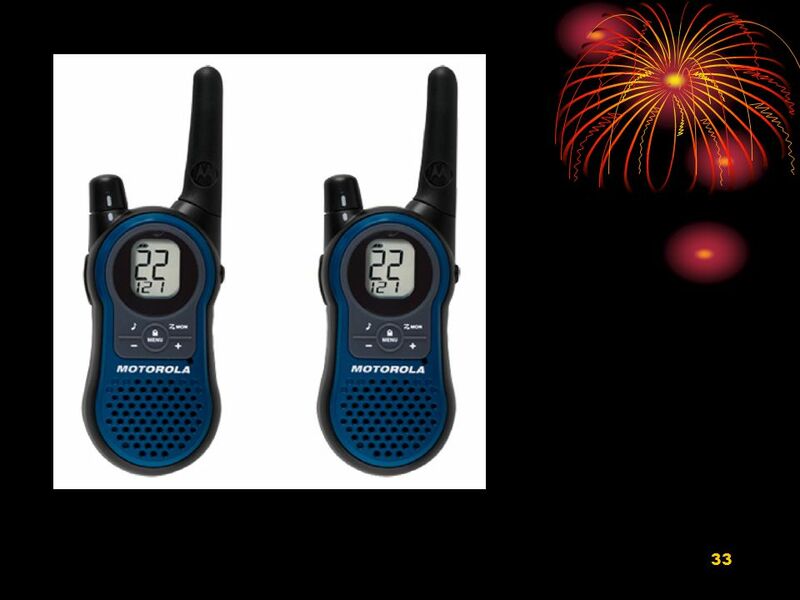 Much better than noisemakers! 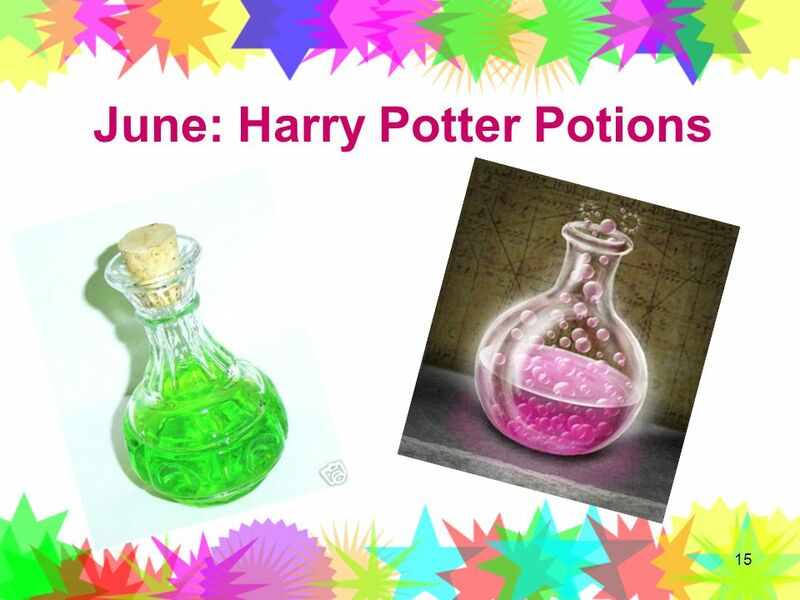 This program was designed to celebrate the release of the latest Harry Potter Movie, however it would be perfect year-round, or as part of a magic theme. Some of the spells/potions included Ice Charm, Breathing Fungus Spell, Invisible Ink and of course our food and drink potions. A word of caution – various flavours of juice mixed with gummy worms may taste awesome to kids – for the adult palate – not so much!!!! The kids did get a huge laugh as I gagged it down though!!!! 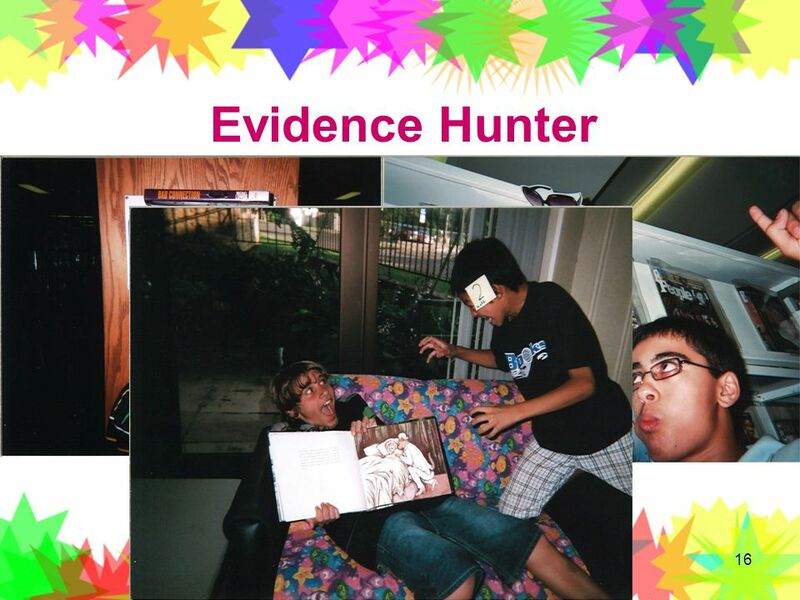 16 Evidence Hunter This program gives tweens the opportunity to have fun while putting their investigative skills to the test! Each team receives a disposable camera and is given a list of clues/tasks to complete. Each team’s clues were in a different order, so as to avoid congestion and traffic jams. They had to take turns using the camera, someone always had to be in the photo, and they had to hold up a sticky note with the clue number so we knew which clue they were working on. Some of the clues included: go to the adult department and combine 2 or more book/magazine/movie/cd titles to make a funny sentence; the thief left this clue behind when he decided to take a break and get a coffee (clue was beside the coffee machine); while in the teen fiction section balance books on your heads; and act out a scene from a fairy tale or folk tale – find the book in the story hour room. The photographed evidence was then sent to the top secret Walmart photo lab for processing! We then called the team with the most correct photos to pick up a prize. This program was a bit pricey. 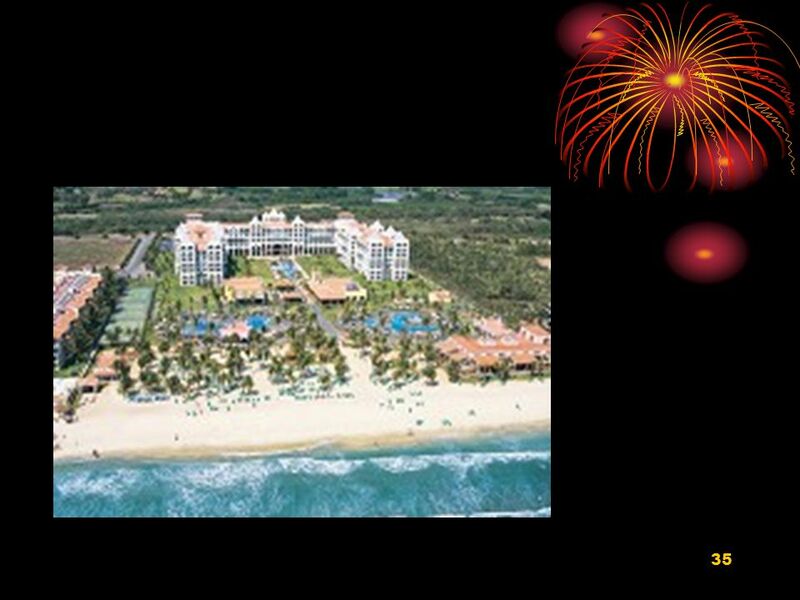 We spent approx. 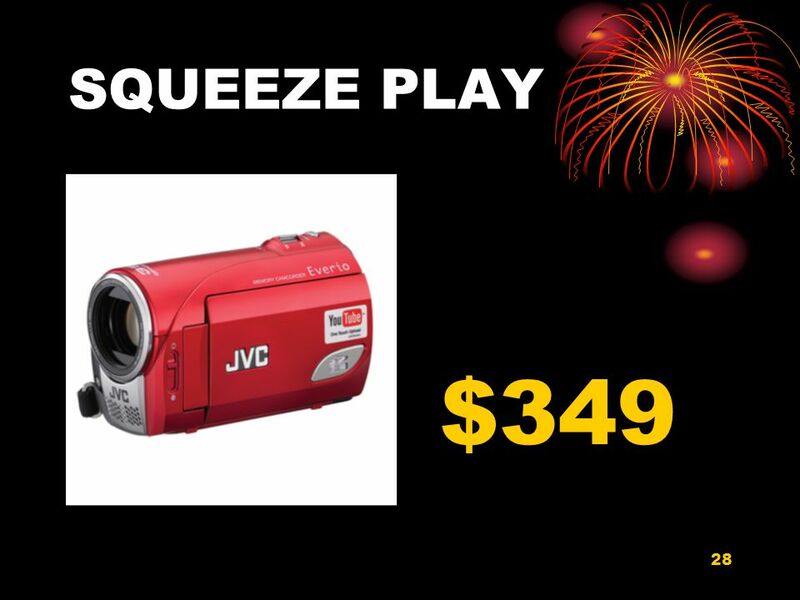 $75.00 on disposable cameras and approximately $20 to have the film developed, or approximately $3.00 per person. The more tweens you put on a team, the fewer cameras you’ll need to use. Also, try to have local stores donate cameras. On the plus side, everyone had a great time working as a team to photograph the evidence. 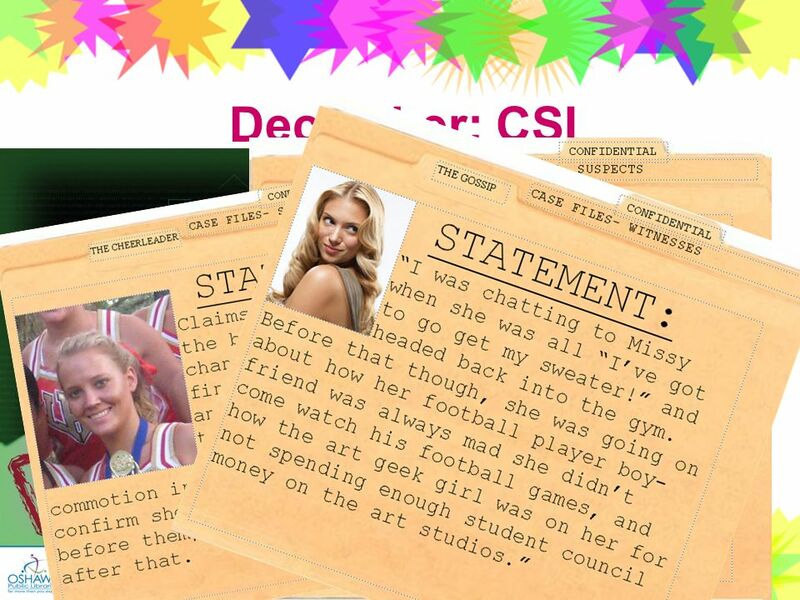 This program tied in quite well with the TD Summer Reading Club theme of Agent 009, and also tied into the popularity of celebrity gossip shows such as TMZ (I’m a lawyer!!) This is s a great way to introduce tweens to the physical layout of the library – they had to find the magazines, photocopier, dvd section, fairy tale collection etc. 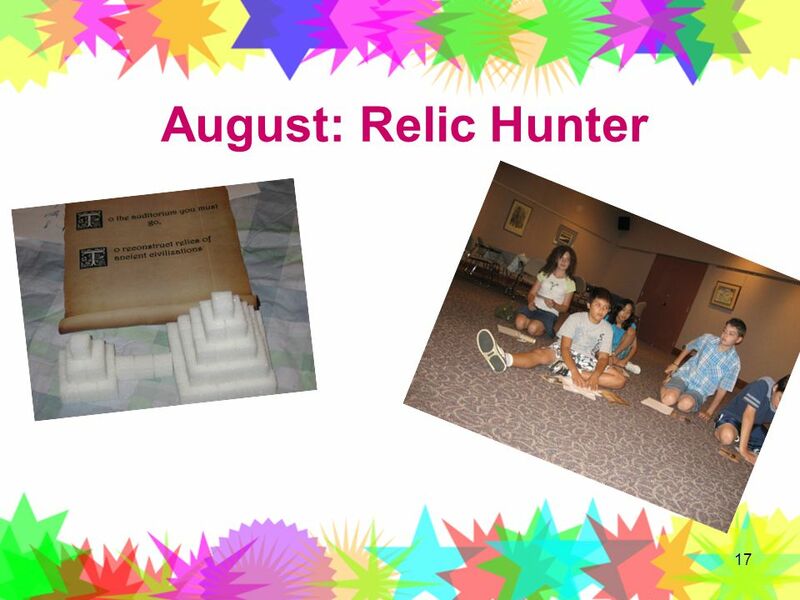 17 August: Relic Hunter This program attracted Indiana Jones fans, as well as those interested in archaeology and adventure. A great opportunity for tweens to explore both the library and the past! Do you like adventures and archaeology? Do you want to be the next Indiana Jones? Join us as we hunt for clues to find the lost, stolen, or hidden treasures! For tweens ages Free registration at any branch. A 15 year old boy came to this program, which was really exciting! We have run a chocolate based program many times, each with different twists. We've done Chocolate Olympics, Make Your Own Chocolates, Taste Tests and more. Calling all chocolate lovers! 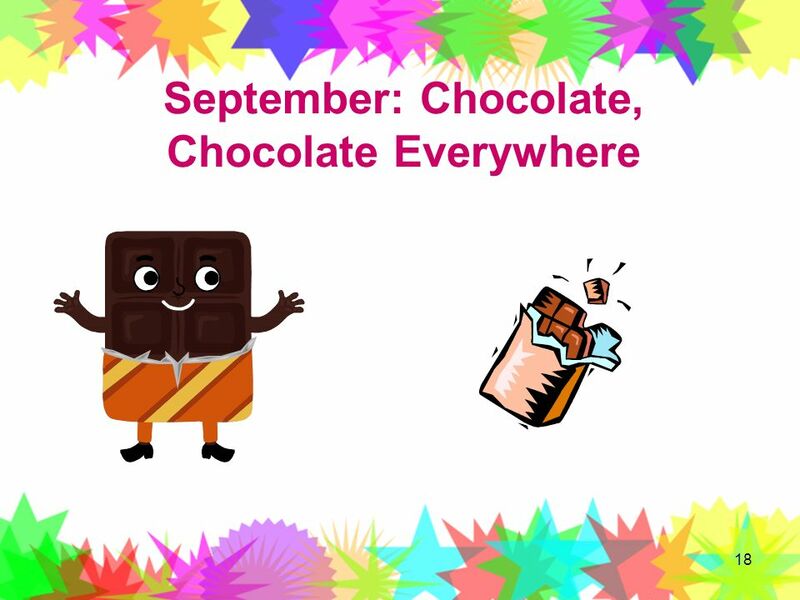 This is your chance to try many kinds of chocolate and vote on your favourite! 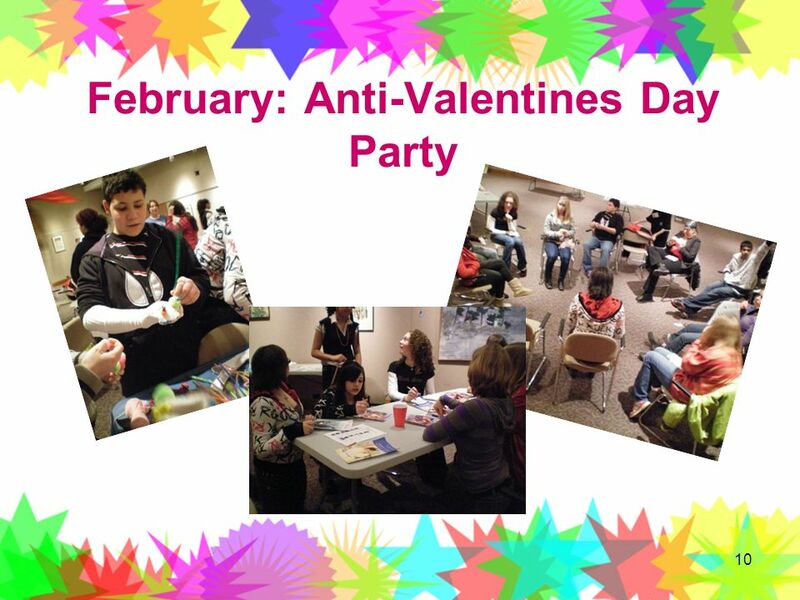 There will be games, prizes, and of course – chocolate! 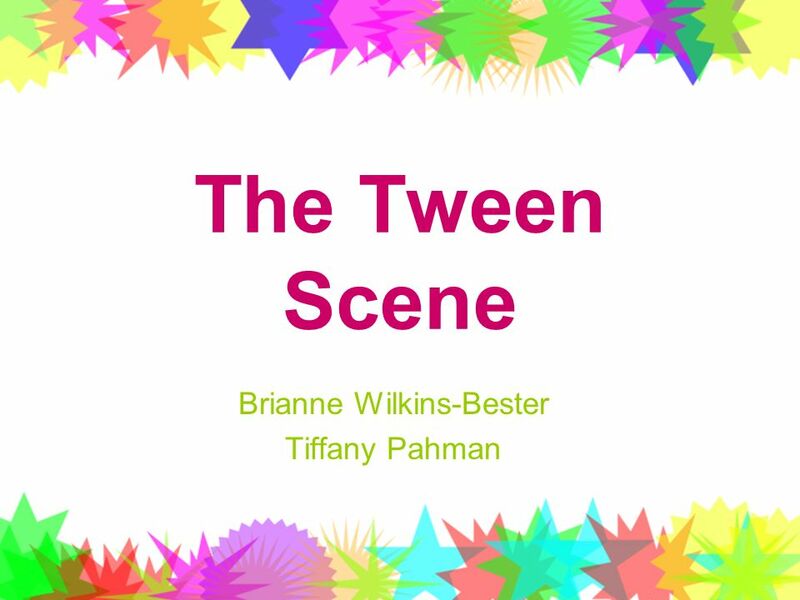 For tweens ages 10 – 15. Eating Pop Rocks and drinking pop at the same time causes your stomach to explode. A company will give you $245 for every third person to whom you forward a certain . 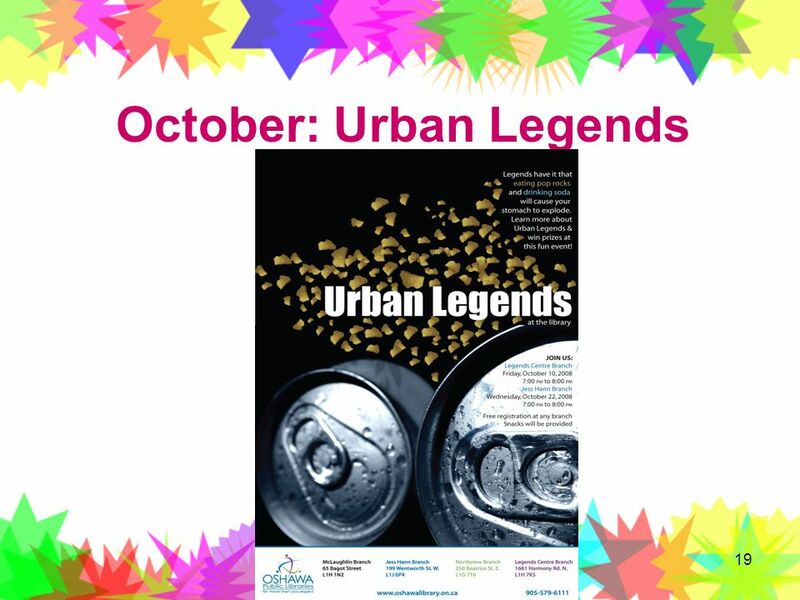 You’ve heard stories like these before, now is your chance to learn more about these Urban Legends, win prizes and swap spooky stories at this fun event. Registration is limited and free at any branch. 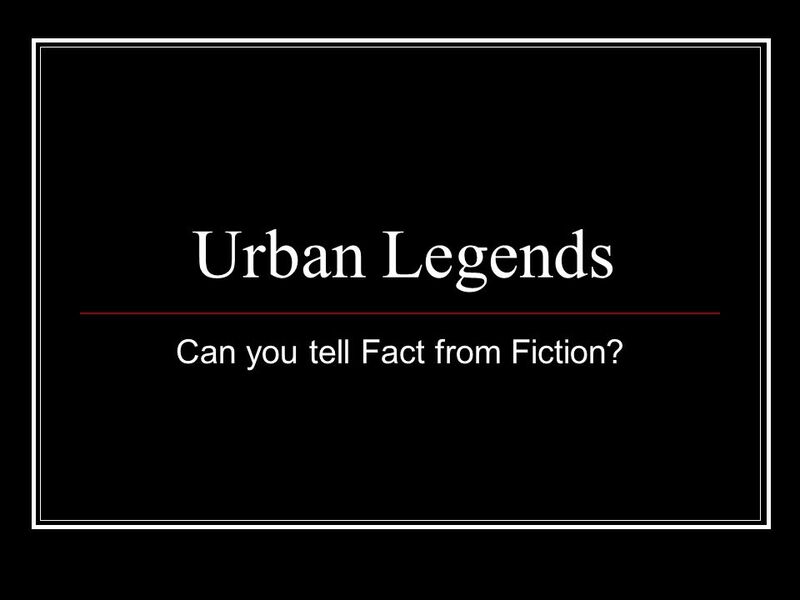 20 Can you tell Fact from Fiction? 21 TRUE Poppy Seed Problem THE LEGEND: THE VERDICT? 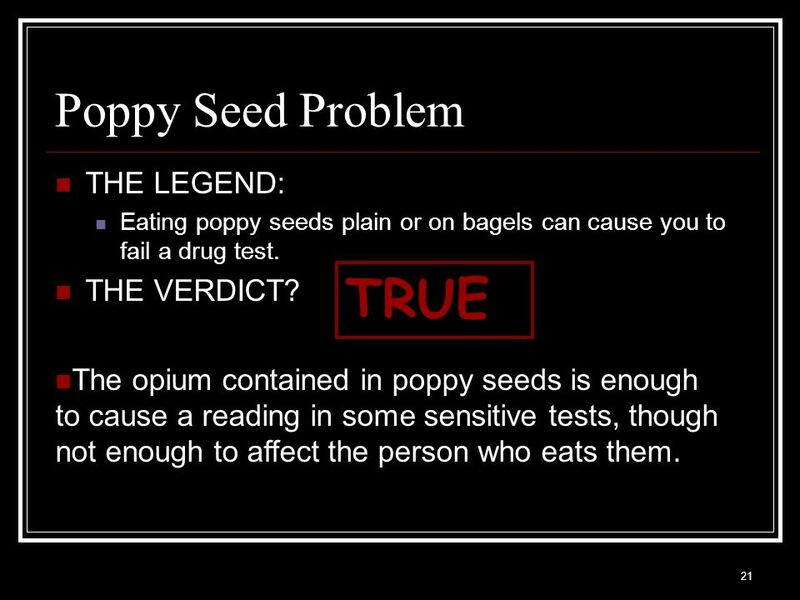 Eating poppy seeds plain or on bagels can cause you to fail a drug test. THE VERDICT? TRUE The opium contained in poppy seeds is enough to cause a reading in some sensitive tests, though not enough to affect the person who eats them. 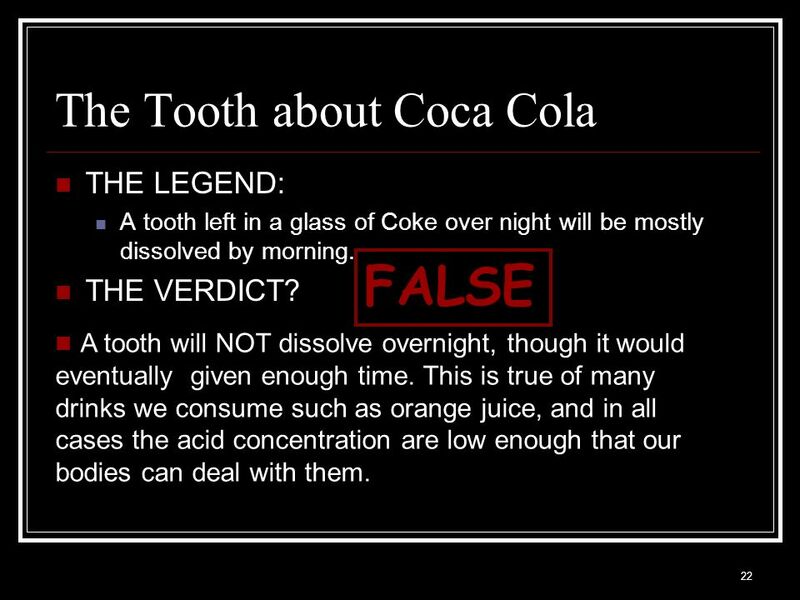 THE LEGEND: A tooth left in a glass of Coke over night will be mostly dissolved by morning. THE VERDICT? FALSE A tooth will NOT dissolve overnight, though it would eventually given enough time. This is true of many drinks we consume such as orange juice, and in all cases the acid concentration are low enough that our bodies can deal with them. 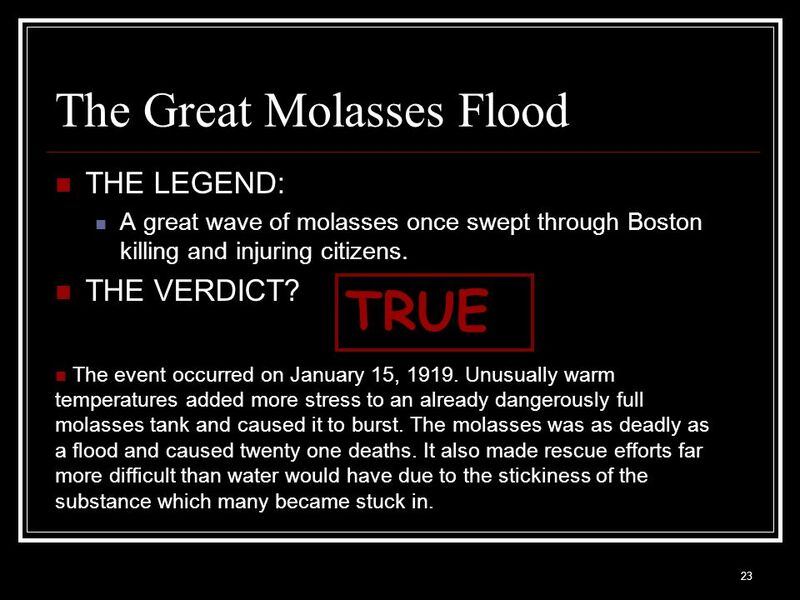 THE LEGEND: A great wave of molasses once swept through Boston killing and injuring citizens. THE VERDICT? TRUE The event occurred on January 15, Unusually warm temperatures added more stress to an already dangerously full molasses tank and caused it to burst. The molasses was as deadly as a flood and caused twenty one deaths. It also made rescue efforts far more difficult than water would have due to the stickiness of the substance which many became stuck in. 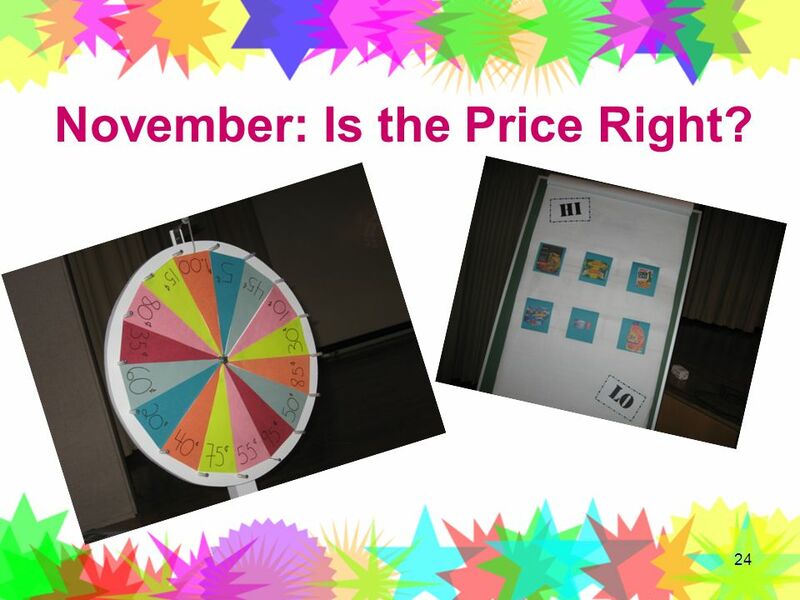 24 November: Is the Price Right? 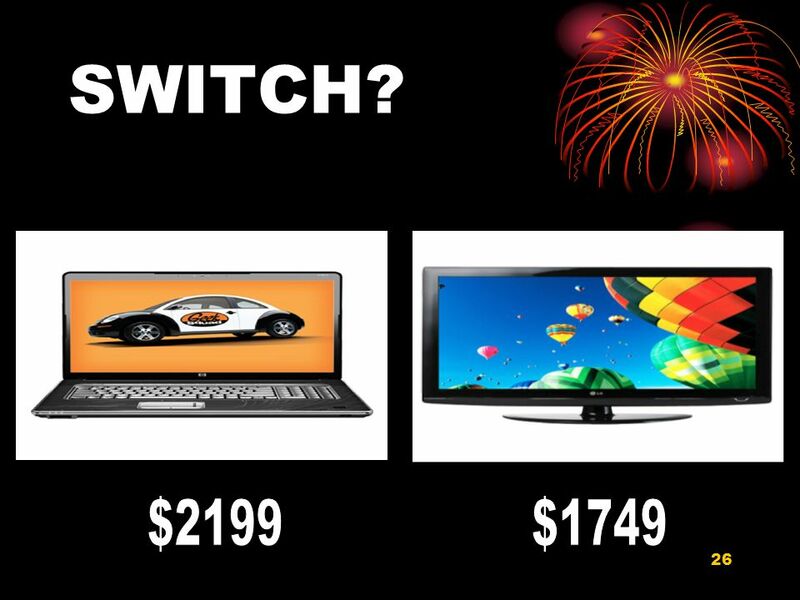 Come on down, you're the next contestant on “Is the Price Right?!! !” Based on the ever-popular television game show, this program gives tweens the opportunity to bid on and win items while learning the value of the all-mighty dollar! And believe me, they will learn about the value of a dollar. In some cases their bids were so off base, even they were busting a gut with laughter!! To run this program, you need to first come up with items to bid on. We used books. We first book-talked the book, and than had the 4 contestants in contestant row, who were chosen from the crowd at random, write their bid on a dry erase board. The person with the closest bid without going over won the book and then came up to play a game. For the games, we used a combination of powerpoint presentation and chart paper. For example, the hi lo game which is pictured here was played using chart paper. On it were 6 pictures of household and/or food items that I cut out of sale papers and flyers. 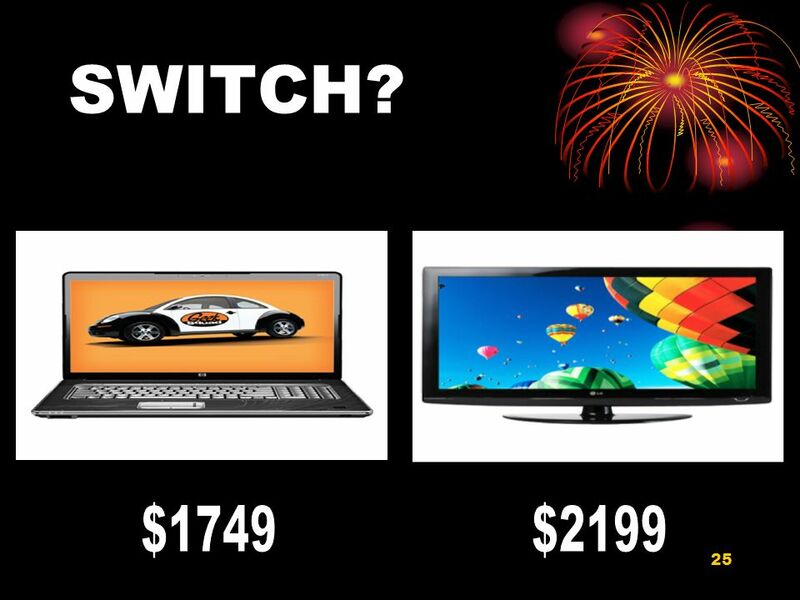 Tweens had to guess which 3 items were priced the highest. You’ll also notice a picture of this spinning wheel. This spinning wheel was the best investment – we’ve used it for everything! This was used in the showcase showdown spin-off. 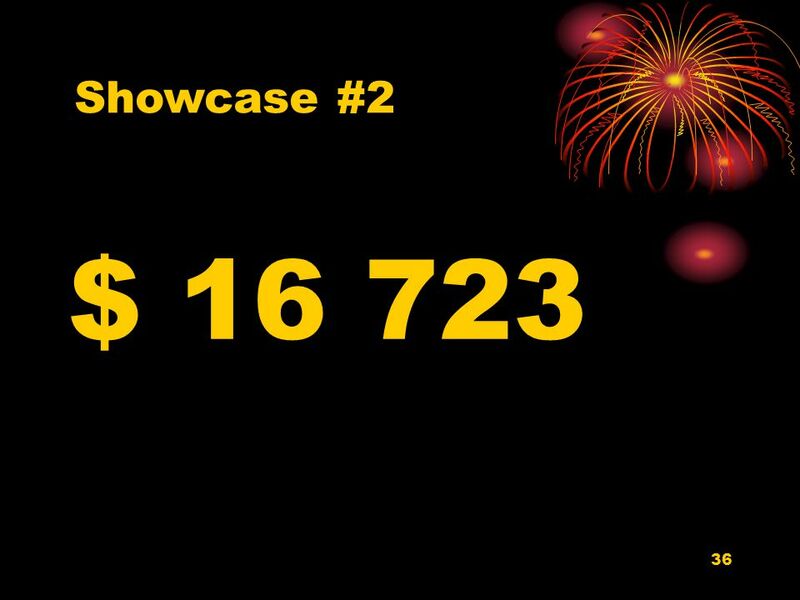 Just like the show, whoever was closest to $1 without going over after 2 spins got to move on to the final showcase. Before we try our hand at some of the games, I just want to mention that this is a very inexpensive program. We spent about $10 on candy, which the tweens received after “appearing on stage” and all of the books that we used as contestant row prizes were either donated or came out of our book budget. Okay, now lets try our hand at some of the powerpoint games. 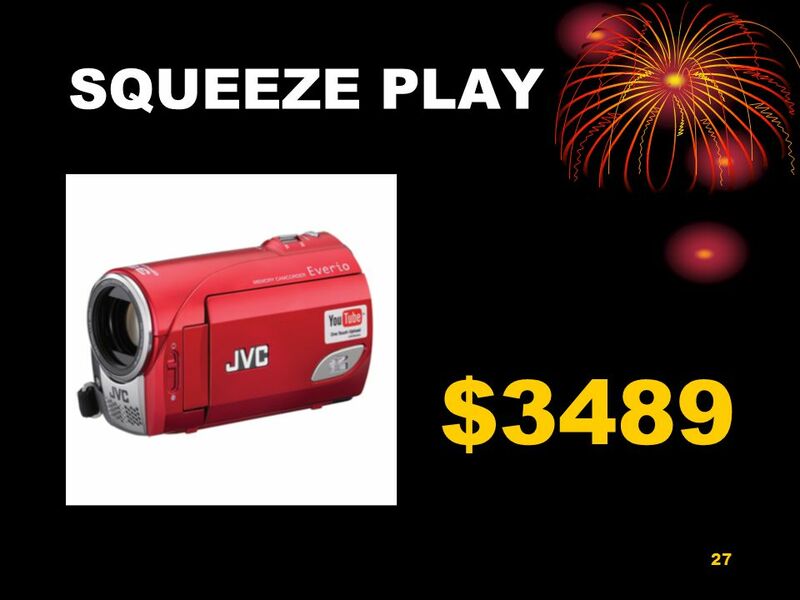 This product can be yours if the price is right: a JVC Camcorder with one-touch uploading to YouTube The number 3 is right, the number 9 is right, but either the 4 or the 8 must be squeezed out. 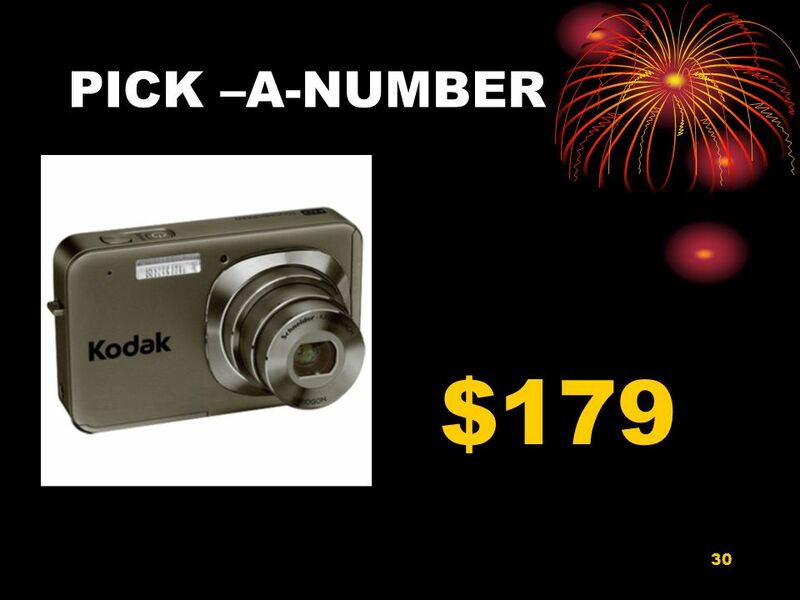 This product can be yours if the price is right: Kodak EasyShare 12 MP Digital Camera Is the next number in the price of this camera a 7, 8 or 9? 36 Showcase #2 $ Don’t forget to have your pet spayed or neutered!!!! 37 December: CSI Do you have what it takes to solve a crime scene mystery? Think it’s as easy as it looks on TV? Come find out how good a detective you are! For ages Free registration at any branch. 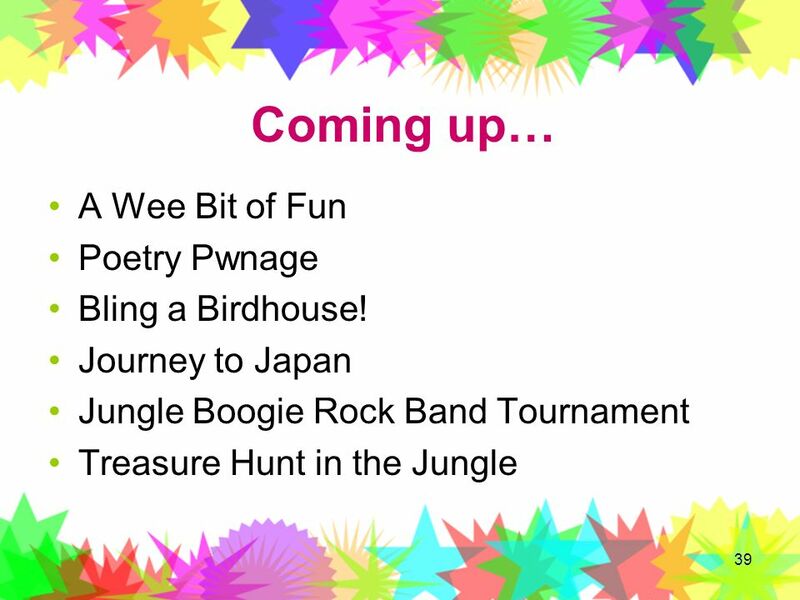 39 Coming up… A Wee Bit of Fun Poetry Pwnage Bling a Birdhouse! Download ppt "Brianne Wilkins-Bester Tiffany Pahman"
NTDB ® Annual Report 2009 © American College of Surgeons All Rights Reserved Worldwide Facilities by Pediatric Hospital Association Figure 1.